Magento is an open source e-commerce software and content management system for e-commerce websites based on the PHP Zend Framework. It uses MySQL or MariaDB as database backend. The Magento development has been started in 2008 by Varien. In this tutorial, I will show you how to install Magento 2 with Nginx, PHP-FPM, and MariaDB as the database. I will use ubuntu 15.10 (Wily Werewolf) as a basis for the installation. If you don't have a minimal server setup yet, please see this tutorial to get a proper base setup. Login to your Ubuntu server with your root account (e.g. by SSH) and update the repository. In this step we will to install PHP 5.6 in PHP-FPM mode. Additionally we will install the following PHP extensions that are required by magento. We have to enable the php5-mcrypt extension manually by creating a symlink in the conf.d directory. Now edit the php.ini files for fpm and cli. Then connect to the MySQL shell (the MariaDB shell gets started with the command MySQL) with your root password, create a database with the name 'magentodb' and a user 'magentouser' with the password '[email protected]'. Please choose a secure password for the 'magentouser' on your server and not the one '[email protected]' that I used in this example! We will install Magento in the directory '/var/www/magento2'. For the Magento installation, we need the PHP composer. Go to the root directory, download the composer installer file with curl and run it to install composer. Register an account on the Magento website repo.magento.com. This account is required to use Magento and the Magento composer store. When you have registered, go to the Tab 'My Account > Developer > Secure Keys', next generate your keys. Make sure you have registered at github.com. Generate the GitHub access token by clicking on your top profile, go to 'Settings > Personal Access Tokens' and click on 'Generate new token'. You will be asked for the Magento authentication, use the public key as username and the private key for the password. Then you will be asked for the GitHub token, paste it and press 'enter' to continue the third-party component. Magento offers a ready-made Nginx virtual host configuration, so we just have to include it in our configuration. Replace www.newmagento.com with the domain name of the website that your shop shall use. backend-frontname = the admin page for our magento site, we use 'adminlogin'. 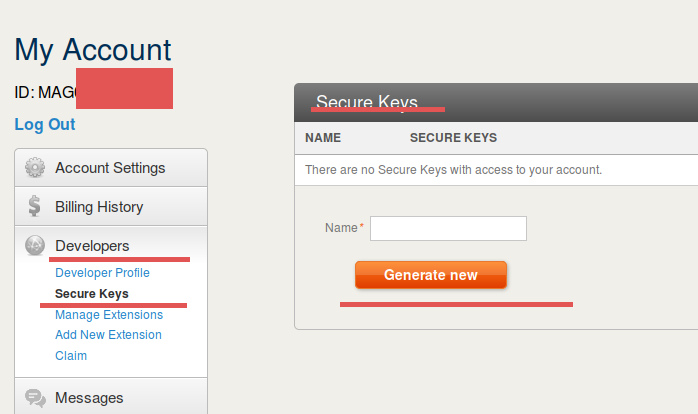 Key = our magento keys, we can generate it, or find it random on http://randomkeygen.com/ etc. Base-url = make sure it is same with virtual host configuration. 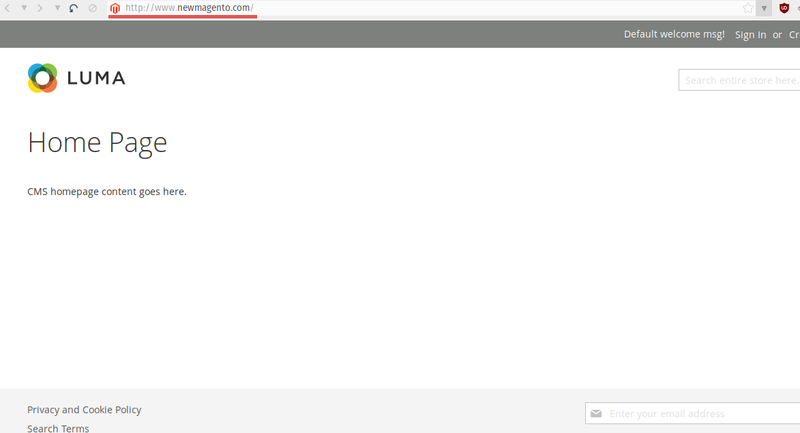 Before we will test the Magento installation, ensure the web directory owner is 'www-data', then restart nginx. In my case, the name is: www.newmagento.com. Magento 2 with Nginx and PHP-FPM on Ubuntu 15.10 is installed now. Magento is an open source e-commerce platform based on the PHP Zend Framework. It is a complex e-commerce software to help you with your online business. Magento uses an MVC (Model-View-Controller) architecture and MySQL or MariaDB as the database. 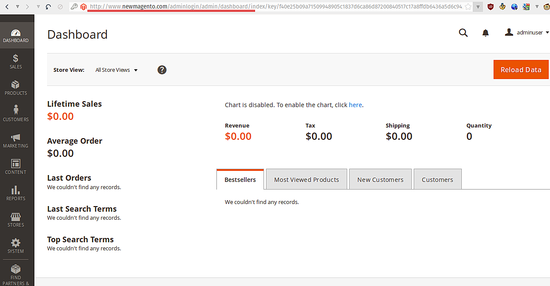 Magento is easy to install, we can install it with Nginx or Apache web server. Magento has become one of the most popular e-commerce software on the internet and is uses by many successful shop websites worldwide. Check that you created that file, that you changed the domain name inside, that you reloaded anginx and that you access the website trough that exact domain name. If you use another domain name that points to the same server or when you use the Ip, then you'll end up in the default vhost and not the magento site. Just deleted my server instance and started again from the beginning. Still not showing my Magento and going straight to nginx default page. I found that single quotes instead of double quotes would let complex passwords pass on the setup:install line without trouble. Anything else would freak it out. I also never needed the developer creds on install. I used 2.0.2 downloaded from their website. Such a great tutorial. Thanks so much I've been trying to install this magento for a day now and have reinstalled the server twice before finsing your step by step simplified. I was getting erro and noticed it. So far its a great learning resource.